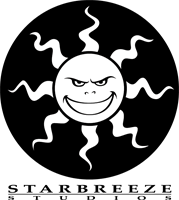 STOCKHOLM, SWEDEN (29 December 2017) − Starbreeze AB today announces that the number of Class B shares increased by 419,491 and the number of Class A shares decreased by 406,987 in December. As of today, the number of Class A shares is 55,146,615 and the number of Class B shares is 227,891,325. The number of votes decreased by 3,650,379 in December and is today 779,357,475. As of 29 December 2017, Starbreeze’s share capital amounts to SEK 5,660,759, distributed among a total of 283,037,940 shares, of which 55,146,615 Class A shares and 227,891,325 Class B shares. The number of votes amounts to 779,357,475.